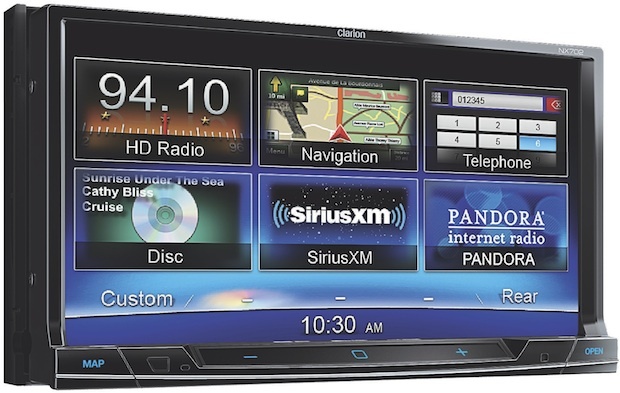 Clarion announced Next GATE, a 7-inch, touch-screen, in-vehicle smartphone controller for iPhone that brings app functionality into the car. 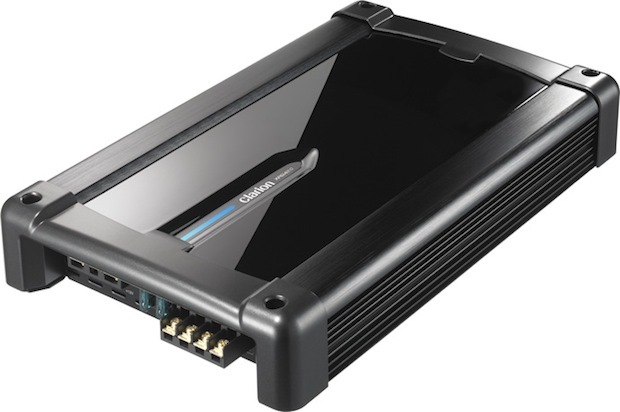 Next GATE (model SC1U) leverages the power of the smartphone and its wireless connectivity, allowing hands-free calling, voice dialing, voice activation, navigation, Internet radio and more. Aside from app integrations, Next GATE also comes equipped with a microSD slot, a built-in speaker, blue LED buttons and indicator, auxiliary audio output, windshield mount, built in microphone, external microphone ready and a 7-inch digital WVGA touch panel LCD monitor. The Next GATE is compatible with iPhone 4S and iPhone 4, and has a 12 volt power adapter for easy connection which also allows for charging while in-use. 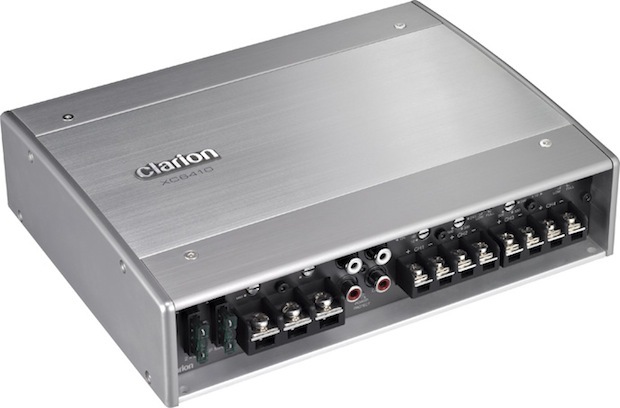 The system is connected via an easy to set up auxiliary connector while the Clarion Smart Access app manager is a free download on the iTunes app store. Original content is offered via Next GATE with apps exclusive to the smartphone controller. Key iPhone functions become road friendly with Vlingo support, such as Voice Launcher and Speech-to-Text app inclusions like Facebook, Twitter and News applications which will allow for easy access all while keeping your focus on the road. 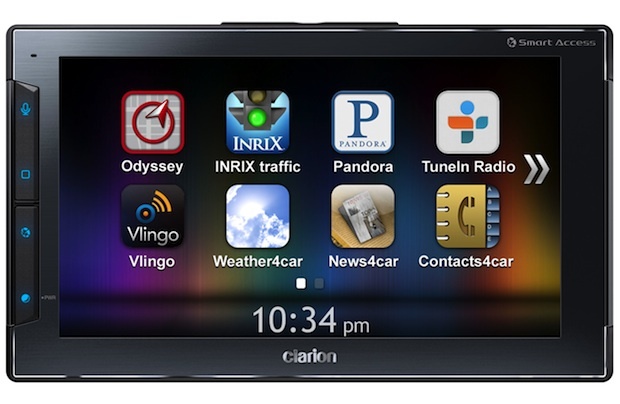 Key vehicle-friendly app partners include: TuneIn, Pandora, Vlingo, INRIX Traffic, and InfoGation with more to come. Likewise Clarion is currently working with multiple app partners to greatly expand the functionality of Next GATE. TuneIn – Offers a new way to listen to the world through live, local and global radio wherever you are with over 50,000 stations including music, sports, news or current events like the GOP debate, Daytona 500 or South by Southwest (SXSW). Pandora – Offers personalized internet radio. Vlingo – A voice recognition app which allows for speech to text capabilities; works with email and social media channels while behind the wheel. INRIX Traffic – Provides up-to-the-minute insight into the fastest routes, covering nearly twice as many roads as any other app and it identifies the worst delays on highways and city streets nationwide so drivers can steer clear. InfoGation – Provides turn-by-turn navigation with full screen maps and graphics. 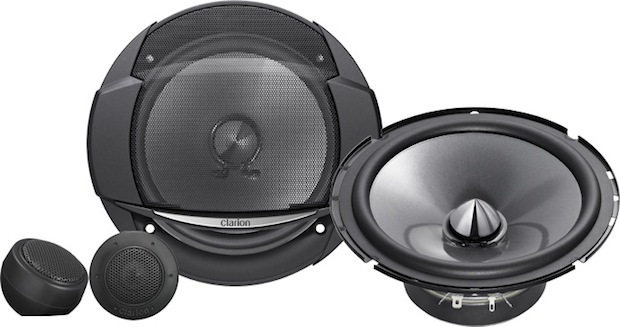 Clarion's Next GATE (SC1U) will be available beginning June 1, 2012 for $269.99.